Initially, very little was known about shrimp care, so their husbandry was often problematic. For this reason, Chris Lukhaup and Werner Klotz decided at an early stage to visit the countries of origin to learn about these crustaceans and the way they live. 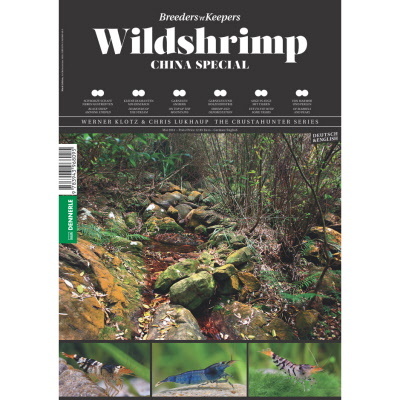 This special booklet from the Breeders’n’Keepers series deals with the many shrimp species and habitats in Southern China. A Crustahunter excursion account with 125 images, lots of adventures and discoveries about shrimp in their natural habitats.